There are many reasons to choose Turkey as your next destination for a cruise, but probably nothing beats the irresistible charm of a place where two worlds collide. Turkey has been an interface between Europe and Asia through the ages, witnessing waves of continuous movement on the east-west axis. Even today, Turkey presents itself as a curious case of an Asian nation with European aspirations, making it the most liberal Muslim state in the world. Although Turkey has a shoreline extending over 7000 kilometres, you should choose to focus your yacht trip on only a certain length of it. The southwest coast, also called the Turkish Riviera (or Turquoise Coast), holds the combination of a favourable climate, a warm sea, and abundant natural and archeological sites. 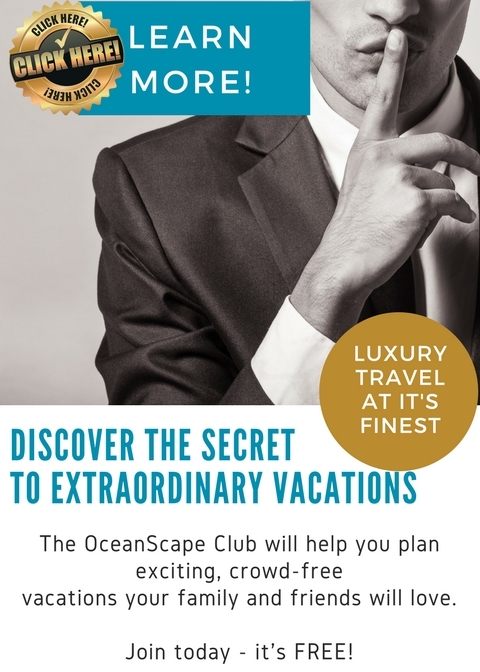 This is truly a world-class destination for your free time. History is a major component of the places you will visit, so asking the Internet about Greek colonies, the Persian Empire and the Ottoman Empire beforehand is a good way to benefit as much as possible from your experience. Before heading for Turkey, you should keep in mind that venturing outside areas dedicated to large-scale tourism can be dangerous. Turkey recently experienced some political disturbance and is not quite a consolidated and fully functional democracy. With conflict zones at its borders and some ethnic disturbances, it is safer to forget about venturing to its inner eastern and northern territories. 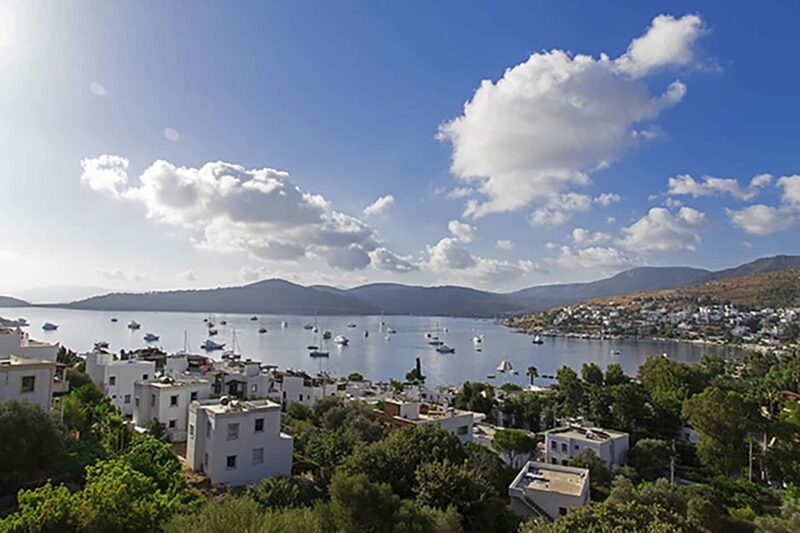 Bodrum is the perfect place to start your cruise along the Turkish Riviera. The city is famous for being home of one of the seven wonders of antiquity, the Mausoleum of Halicarnassus (Bodrum’ s ancient name). Although today, at the site of the Mausoleum, only the foundation remains, together with a small museum, the place still deserves your full attention. It is said that the beauty of the mausoleum was not only in the structure itself, but in the decorations and statues created by four important Greek sculptors of that time: Bryaxis, Leochares, Scopas and Timotheus. Each one of them was assigned to one side of the mausoleum, and constant throughout their representations could be found statues of normal people and animals. The mausoleum was not dedicated to the gods of Greek mythology, which was very uncommon for that time. If you arrive in Bodrum in May, you can witness the spectacular and colorful dance festival held here each year and included by UNESCO on its list of international events. Dance competitions, street shows and performances, a festival parade and dance parties everywhere welcome you to share the enthusiasm of artists and tourists coming from all over the world. All events are free of charge and everyone can attend them. 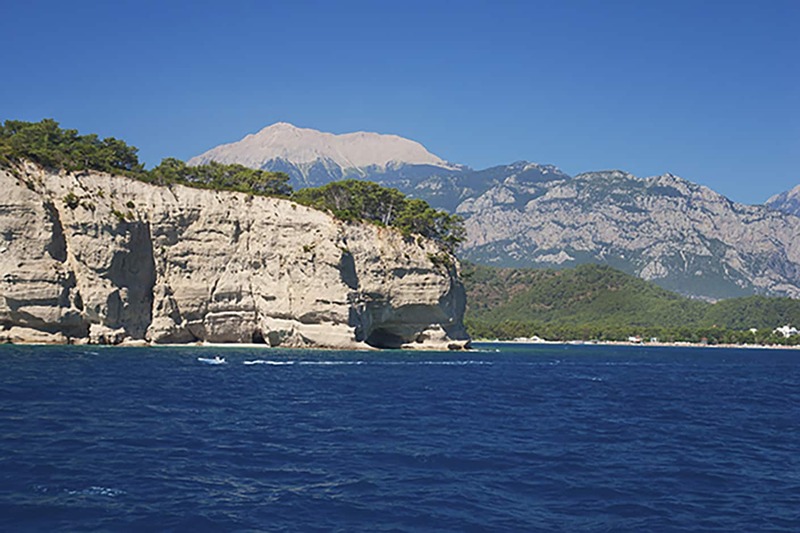 Antalya is definitely the most famous sea resort on the Turkish Riviera and one of the most visited cities in the world by number of international arrivals. Shielded by the Taurus Mountain to the north, the city has a very pleasant climate, with hot and dry summers. Even in the winter, the average temperature of 16°C (61°F) makes it quite enjoyable. The old town of Antalya (Kaleici) is a good place to cool off and have a drink after a long day at the beach. With its numerous charming small hotels, inns and inexpensive hostels, it offers comfortable, even luxurious accommodations and fine dining, all in a preserved old-time atmosphere. If you feel nostalgia for the past, you might prefer the old town over the large modern hotels that populate the beaches. Landmarks you should search for in Antalya are Hadrian's Gate and Hidirlik Tower, both constructions dating back to the Roman era. Architecture from the later Ottoman period can be found in the form of the Clock Tower and Tekeli Mehmet Paa Mosque, one of the most important mosques in the city. Today, Kaleiçi is a protected district, with strict regulations directed at preserving historic buildings and limiting new constructions of all kinds. 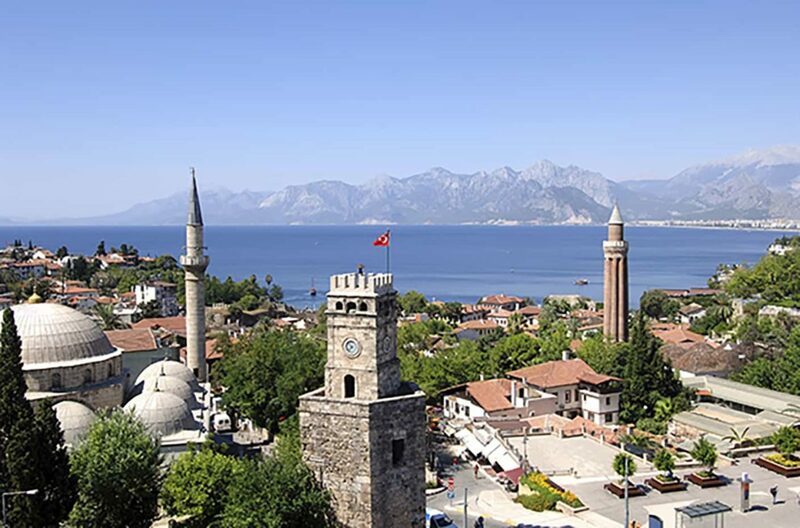 Protected by a large gulf, Marmaris is another stop along your way. 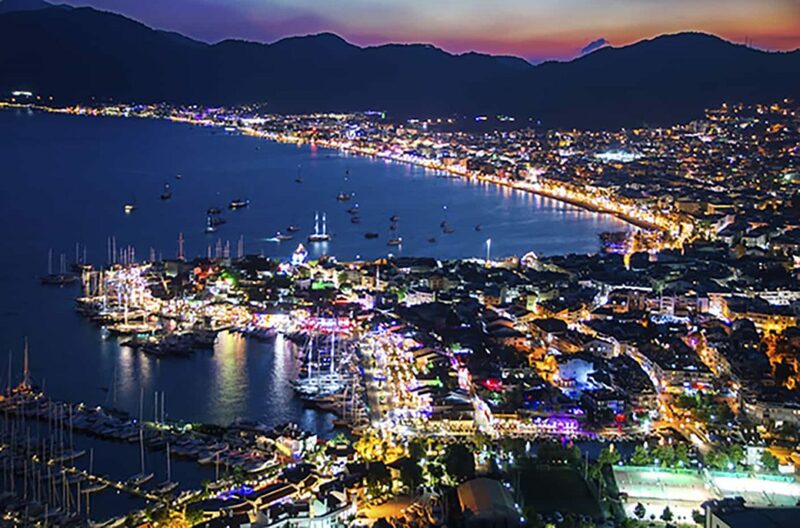 There are several great marinas to choose from in Marmaris Bay, making it a hub for yachts in the east Mediterranean Sea. You can spend your time here enjoying some of the water sports available or simply by renting a car and driving around the shores. The sight of so many cruise ships entering and leaving Marmaris Bay can entertain you for an entire day. If you want to have an overview of the whole Marmaris city and its bay, climbing one of the many hills surrounding it can offer the perfect vantage point. There are many claims made by tourists that the beaches of Marmaris are not so great and that going to the neighbouring Icmeler is actually better, but you will have to see for yourself. 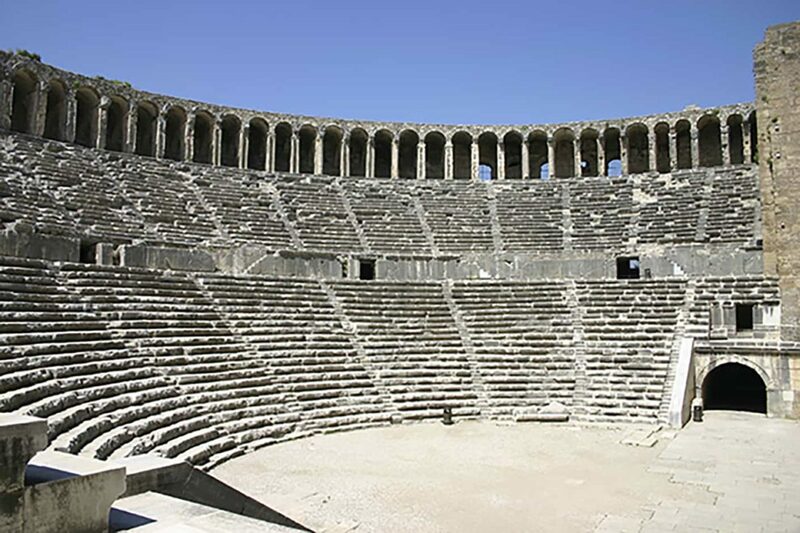 Ephesus is another gold mine for those wanting to take in large doses of Turkey’s ancient times. Founded by Greek colonists and one of the twelve cities of the Ionian League, the city rose to power under Roman control in the second century AD. The city is largely known for being the home of another Wonder of the Ancient World –the Temple of Artemis. 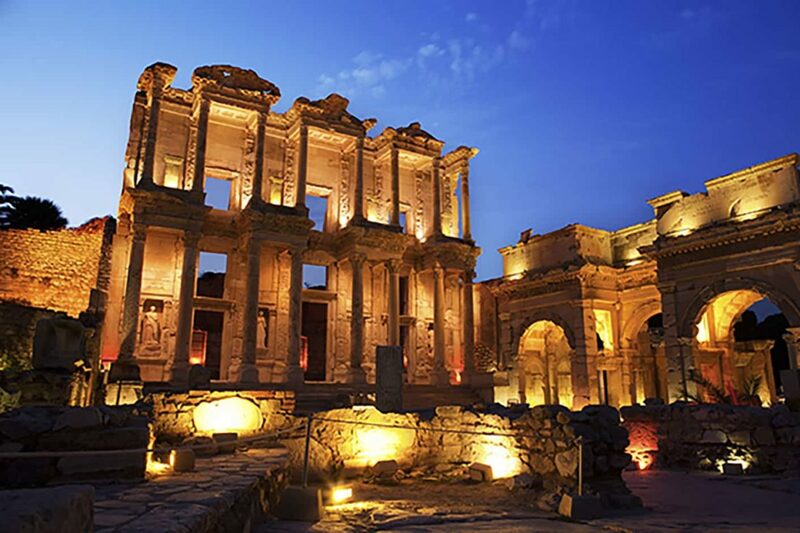 Although there is little left of that magnificent structure, Ephesus has other ancient ruins to make you wonder. The Library of Celsus, the Gate of Augustus and Temple of Hadrian have survived to the present day and have been restored. Ephesus was also an important centre for early Christianity, with two Ecumenical Councils being held here. 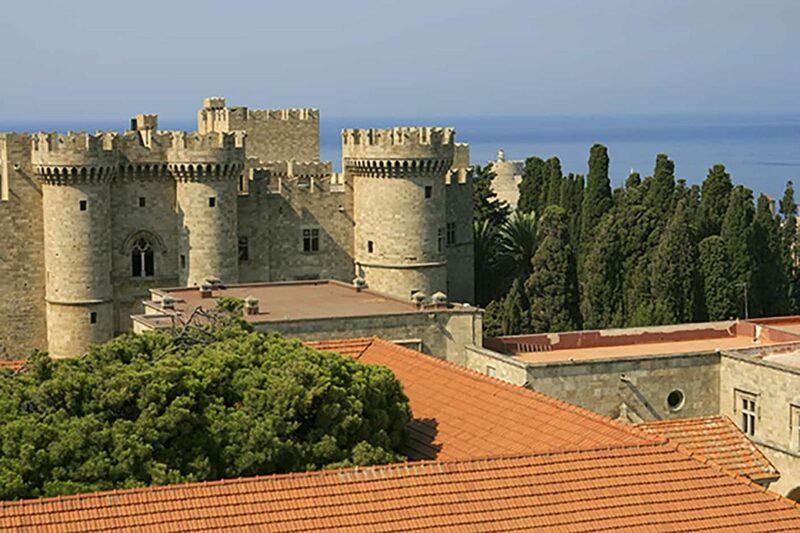 Although not part of Turkey, Rhodes is geographically connected to its southwest coastline region. You should not miss the chance of visiting this island, probably the most disputed piece of land in the entire Mediterranean Sea. The main attraction is represented by the fortifications of the city of Rhodes, built by the Knights Hospitaller of Saint John. The island is now a territory of Greece. If you have the possibility of extending your vacation, more Greek islands await you just across the Aegean Sea. Linking your cruise down the Turkish Riviera with a tour of Greece can make you forget about home.